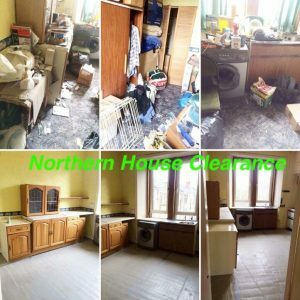 Our Crieff House Clearance team arrived at 09:00 AM on the day of the appointment in one of our large luton furniture vans, undertaken the property clearance and clean in a total of 6 hours. 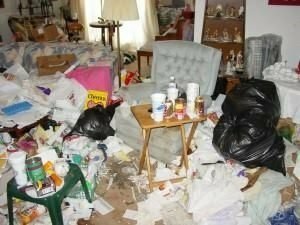 All contents were to be taken. 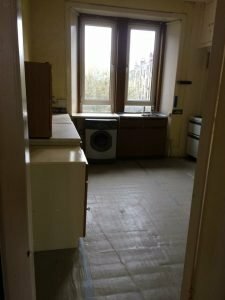 No white goods included. 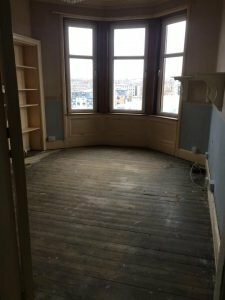 All carpets (inc underlay), nets and curtains were also required to be removed. 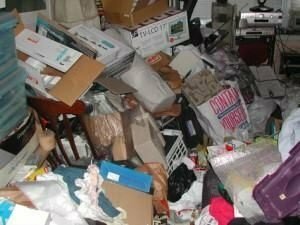 The following items were recycled at a local waste transfer centre in Crieff: boxes of rusty damaged tool sets, a large oval green plastic garden table and matching stacking chairs, sets of ladders, garden compost, bags of sand, a large blow up swimming pool and air beds. 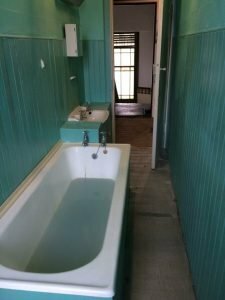 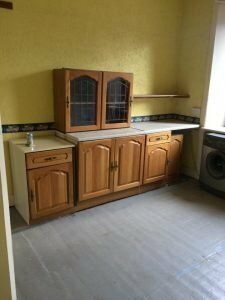 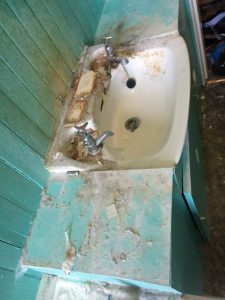 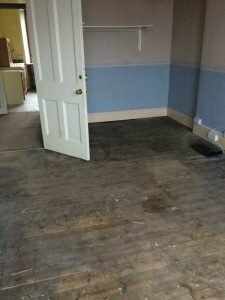 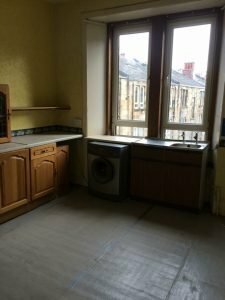 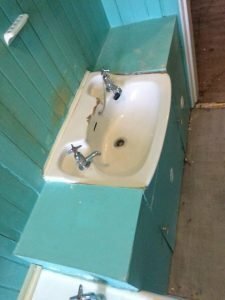 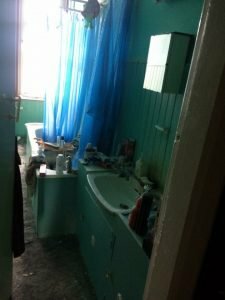 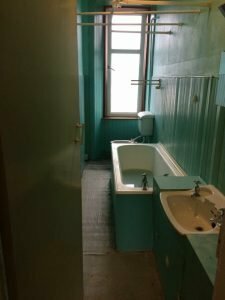 The property was in a very dilapidated condition, due to the environment background our team were unable to donate any items out of the property. 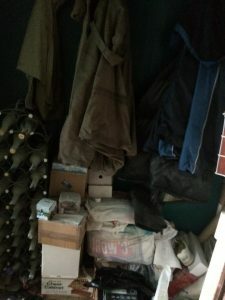 Items found in the garage area were cleared and donated to a local charity within the Crieff area. 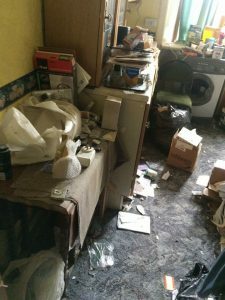 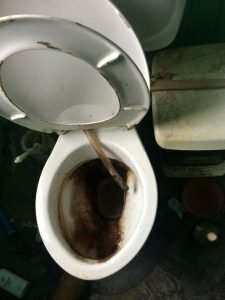 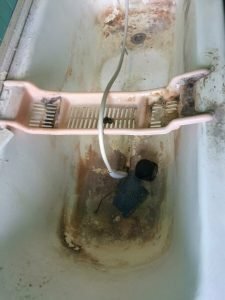 Contents inside the initial property were contaminated, every room had accumulated a lot of debris, food, paper and general waste over a period of years. 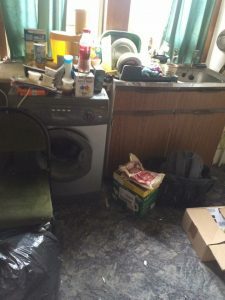 A large shed was also located at the bottom of the back yard, containing wood spars and a car trailer. 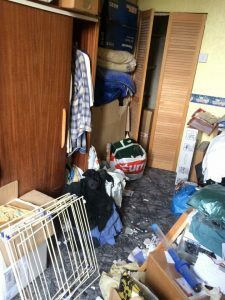 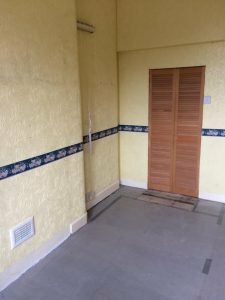 A basic house clearance clean was also carried out after the clearance.